By learning what causes these problems, you’ll be better equipped to prevent them. 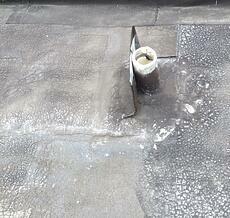 And, if you've found blisters or alligator cracks on your roof, we’ll show you some ways you can repair them! Blisters form when there are pockets of air or moisture trapped between layers of your roof’s membrane or between the membrane and the roof deck. As the sun heats the roof, those pockets expand and stretch the membrane. In severe cases, the membrane will actually crack when the pressure becomes too great. 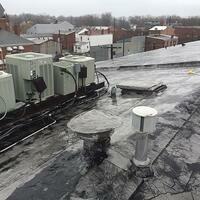 Even if the roof membrane doesn't crack, blisters are usually a cyclical problem. That is, once they form, the membrane stretches permanently, which allows for even more air or moisture to infiltrate the membrane layers. This causes even more expansion. Each time the sun heats your roof, there is the potential for the blisters to grow a little larger. Alligatoring is a sign that your roof is aging. The sun’s UV rays dry and damage the roof’s surface, and after three to five years, the coating may develop small cracks. If left untended, the problem will get worse. Ice, sunlight and the heating and cooling shifts between day and night will all cause new cracks to appear while widening the existing cracks. 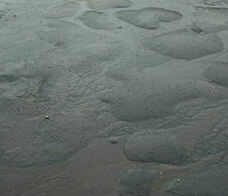 The surfacing is coming off of the blistered area. The membrane itself has cracked. The blister is near enough to the seam that it may cause the seam to open up. The blister is in an area that receives foot traffic. To repair a blister, cut away the membrane until you reach an area where the membrane still adheres to the roof tightly. You’ll then need to reapply new membrane material – at least as many layers as you removed – over the blistered area. Make sure that the new membrane extends at least six inches around the edges of the blister to ensure that your patch remains leak-proof despite the expansion and contraction caused by temperatures shifts. Alternatively, on a bitumen roof, you may be able to cut an “X” into the blister and then peel back the loose membrane layers. Fill the void underneath the membrane with bitumen and then press the membrane back into place. Keep in mind that this particular repair method is only advisable if the membrane is otherwise undamaged. To fix a roof that shows signs of alligatoring, you’ll need to apply a new coating to the roof. Start by cleaning the roof thoroughly, making sure that all dust and loose particles are removed. After that, apply a primer that is compatible with the roof’s original surface, and once dry, apply the coating itself. Embed strips of fiberglass mesh in the coating as you apply it to help increase its strength. Because these problems are common among some membrane roofing systems, you should make sure to inspect your roof at least twice per year. Apply new coatings as needed, and make sure to repair any blisters that could cause a leak. 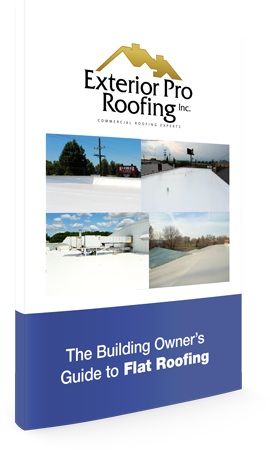 Learn the types of flat roofing and use the roof evaluation form to inspect your current roof system.